In the Great Recession of 2007-2010, Americans watched their retirement savings erode and the value of their homes decline while the unemployment rate increased and GDP sank. New demands emerged for unprecedented government intervention into the economy. While these changes have a dramatic impact on society at large, they also have serious implications for the content and teaching of economics. Teaching Economics in a Time of Unprecedented Change is a one-stop collection that helps pre- and in-service social studies teachers to foster an understanding of classic content as well as recent economic developments. Part I offers clear and teachable overviews of the nature of today's complex economic crisis and the corollary changes in teaching economics that flow from revising and updating long-held economic assumptions. Part II provides both detailed best practices for teaching economics in the social studies classroom and frameworks for teaching economics within different contexts including personal finance, entrepreneurship, and history. Part III concludes with effective strategies for teaching at the elementary and secondary school levels based on current research on economic education. 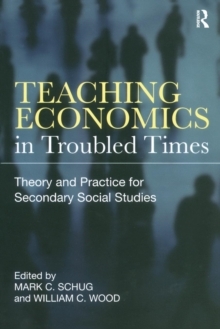 From advice on what every economics teacher should know, to tips for best education practices, to investigations into what research tells us about teaching economics, this collection provides a wealth of contextual background and teaching ideas for today's economics and social studies educators. Additional information and resources can be found at the authors' website neweconteaching.com.